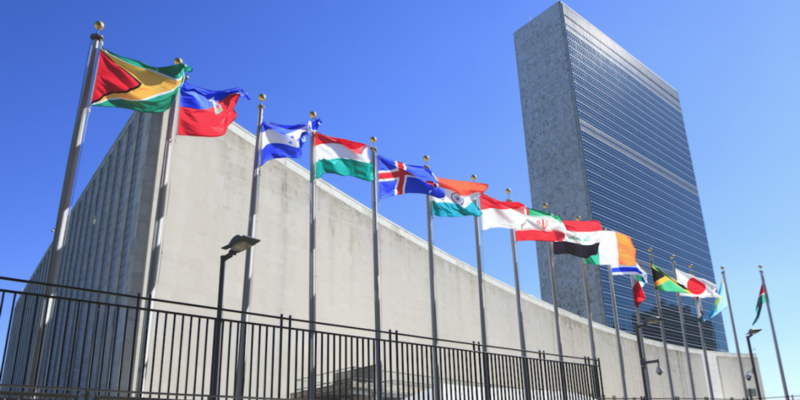 At the 2018 High-Level Political Forum Member States will discuss a sub-set of Sustainable Development Goals under the theme ‘Transformation towards sustainable and resilient societies,’ reviewing in depth SDG 6 on clean water and sanitation; SDG 7 on affordable and clean energy; SDG 11 on sustainable cities and communities; SDG 12 on responsible consumption and production; SDG 15 on responsible consumption and production, and SDG 17 on partnerships for the goals. 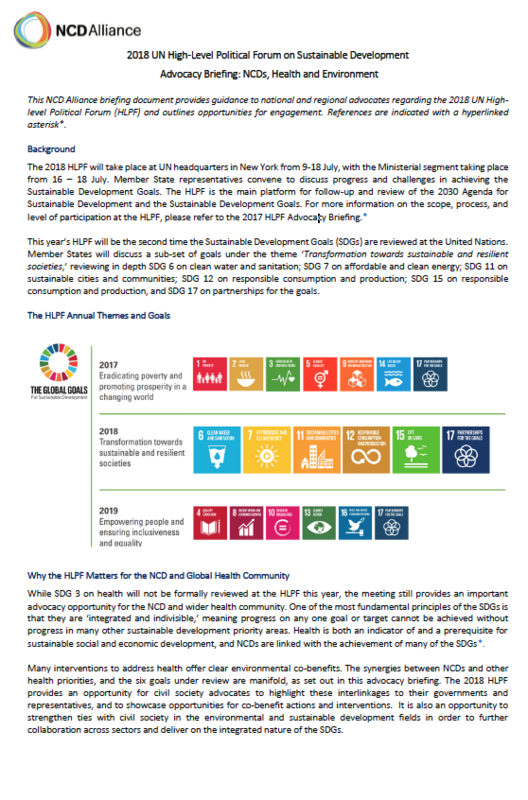 This briefing document provides guidance to national and regional advocates regarding the 2018 UN HLPF and outlines opportunities for engagement by explaining why the HLPF matters to the global health community, detailing key messages, the relevance of NCDs to the SDGs under review, and provides useful links for further information. “What does civil society see as being the opportunities for countries to scale up financing for NCDs?” Read speech delivered by Katie Dain at the Interactive Hearing in Preparation for the 2018 HLM on NCDs. 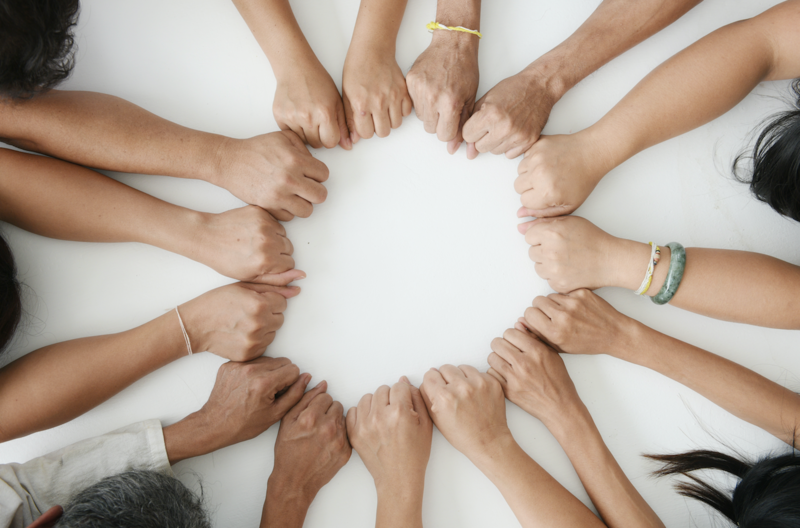 The UN HLM on NCDs is just 3 months away, and this week is an opportunity to share CSOs' priorities for the outcome of the meeting and encourage world leaders to attend and commit to action on NCDs. 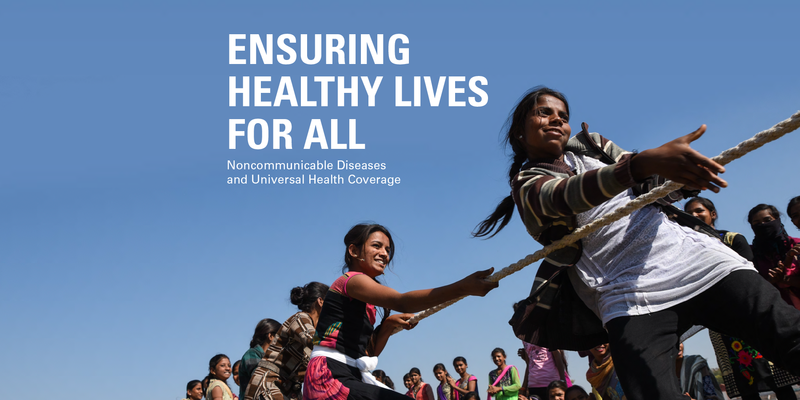 NCDA and over 210 CSOs welcome the Report of the WHO Independent High-­Level Commission on NCDs launched on 1 June, ahead of crucial negotiations for the UN HLM, scheduled for 27 September.